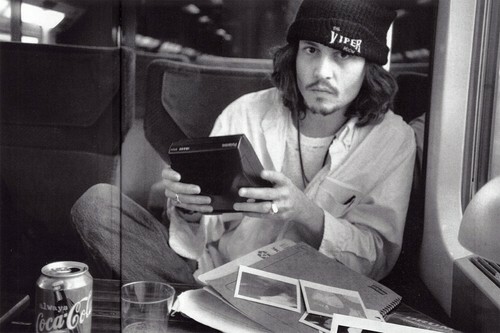 Johnny I really love you♥. . HD Wallpaper and background images in the Johnny Depp club tagged: johnny depp hot photoshoot. This Johnny Depp photo might contain sign, poster, text, chalkboard, coffee break, tea break, newspaper, paper, magazine, tabloid, and rag. "Amm... hi Johnny can i get an autopragh? Also can i have your coke?"